On Saturday 8th April nearly 30 children played in a local, five-round competition divided into two sections: under 9s and under 11s. 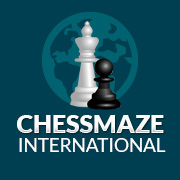 The unanotated games from Round 4 of the WCPL are now on the Games page. The ECU Newsletter for March 2017 can be downloaded here. St John’s, Cardiff, were convincing winners of the 2017 Welsh Primary School Championships held at Bishop Hedley School Merthyr Tydfil, on Saturday 1 April. Colwyn Bay Chess Club now has a website dedicated to their club. The URL is: www.colwynbaychess.org.uk. On Wednesday 29 March, Chepstow School came fourth in the ECF National Problem Solving Team Championships held at Imperial College, London. James Cobb won the 2017 South Wales Spring Blitz. 35 players competed. A new episode of The Simpsons, “The Cad and the Hat”, will be shown on SKY1 this Sunday evening at 6.30pm. In this story Homer shows off his skills on the Chess board. The guest star is Magnus Carlsen.